Growing up in England my first sporting love is football, I started watching American football when it was first show on British TV in the 80’s. Then a few years later a few years later I started watching NBA basketball. Now I only ever watch occasionally and then only the big the big games. But one American I watch at every opportunity is baseball. I started watching it in the late 90’s on TV but really fell in love with the sport a few years ago when I went to my first game, San Francisco Giants v Arizona Diamondbacks at AT & T Park. By a mixture of luck and judgement I had a fantastic seat between home plate and first Base and was lucky enough to sit next to a season ticket holder who helped fill in the gaps in my knowledge of the game. Up until this point I had never affiliated myself to one particular team but suddenly became a Giants fan. As the season progressed and they finished with a record of 72–90 putting them fourth in the NL West I suddenly realised I was following a rubbish team. 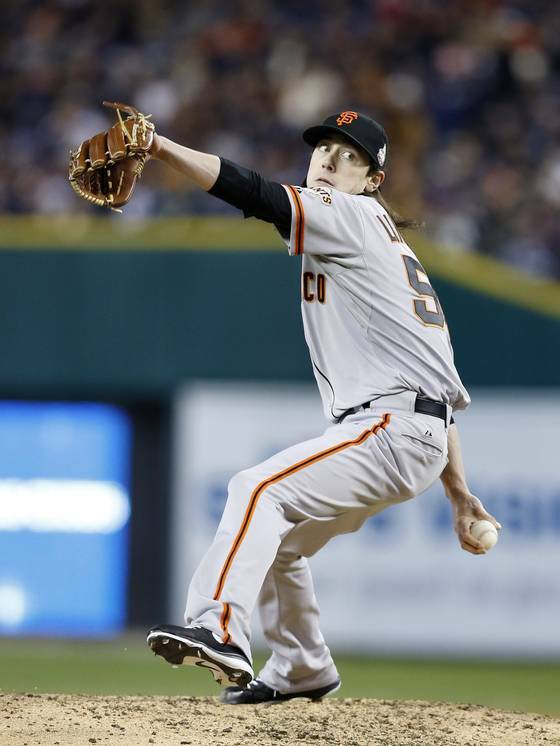 The following season was a little better with Tim Lincecum who I had seen in the game I had been to the year before emerging as a top pitcher and taking a well deserved place in the All-Star Game. The highlight of the season came against the San Diego Padres when Jonathan Sánchez threw a near perfect “ no-hitter”. 2010 look liked like it would be more of the same, trailing the San Diego Padres most of the season, they did however come through to National League Western Division. They went on to defeated the Atlanta Braves in the Division Series, Philadelphia Phillies in the Championship Series and the Texas Rangers in the World Series. Maybe I had picked a decent team to follow after all. This season has gone the same way, trailing to their old rivals the LA Dodgers. Just as things where starting to pick up they lost star player (and MVP at the All-Star Game) Melky Cabrera to a drug suspension. Then from august onwards everything seemed to go well as went on to win the division. The division series didn’t start well going down in the first two games against Cincinnati before coming back to win the next three games in Ohio. They started the same in the championship series going 3-1 down after for games to was years champions the St Louis Cardinals. They came back winning the next three games giving up just one run to set up a best of seven World Series against the Detroit Tigers. After coming from behind and facing six elimination games in the play-offs so far the Giants have started in style winning the first three games including back to back shutouts in games two and three. Needing just one win in the four possible remaining games its looking good for my adopted team. So why all this talk of baseball on a movie blog? As mentioned in previous posts baseball is the most cinematic of sports and baseball movies are the reason I started watching the sport. More specifically Kevin Costner baseball movies. 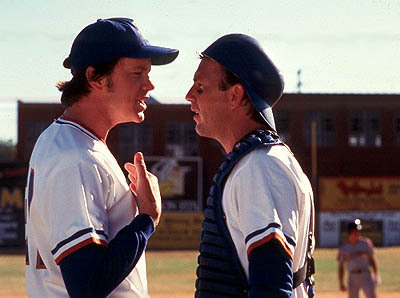 Bull Durham (1988): Journeyman Crash Davis (Kevin Costner) is employed by a minor league baseball team to help educate their hotshot rookie pitcher Ebby LaLoosh (Tim Robbins), a player destined for the major-league if he can learn to control his erratic pitching. The pair don’t exactly hit it off, the problem is exacerbated by the presence of Annie (Susan Sarandon). This is the movie that first sparked my interest in baseball. The casting is perfect with genuine chemistry between the three leads and the right blend of comedy and drama. it’s a sports movie that knows which clichés to embrace and which to avoid. Field of Dreams (1989): “If you build it, he will come” Iowa farmer Ray Kinchella (Kevin Costner) is compelled by voices he hears in his cornfield to build a baseball diamond on his land. Before long the ghost of Shoeless Joe Jackson and his team-mates banned in the 1919 Black Sox scandal (see Eight Men Out above) come to play there. On paper Field of Dreams a cheesy and pointless movie, in practice it is cinema perfection that gets better every time I see it. 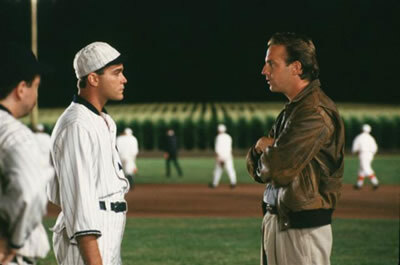 For Love of the Game (1999): Costner plays Billy Chapel, a forty year old pitcher in his nineteenth season with the Detroit Tigers. While pitching in the final game of the season against New York we flashback to his career and his on-and-off relationship. It soon becomes evident that this will probably be his final game and it could well be a perfect game. Made by people (Director Sam Raimi as well as Costner) who clearly do love the game. Unfairly overlooked, it isn’t as good as a movie as his other two movies but it gives a very different prospective. All three of his movies feature very different characters with varying relationships to baseball; Crash Davis is a Journeyman in the minor leagues, he operates as a catcher and mentor for a rookie pitcher, he is also closing in on the minor league record for career home runs. Ray Kinsella is a fan of the sport obsessed with the beauty and history of the game. Billy Chapel is a major-league star, prominently a starting pitcher. As he plays for the Detroit Tigers in the American League who adopt the designated hitter rule it is unlikely he spends much time at bat. I would love to see another Costner Baseball movie, at 57 he is clearly too old to make another movie as a player but there is lots of scope to play a coach or scout. Back to 2012 World Series, game four is set for later today with remaining games on Monday, Wednesday and Thursday if needed, lets hope they are not! When I was a kid (from the age of around five) The Dukes of Hazzard was my favourite program on TV. 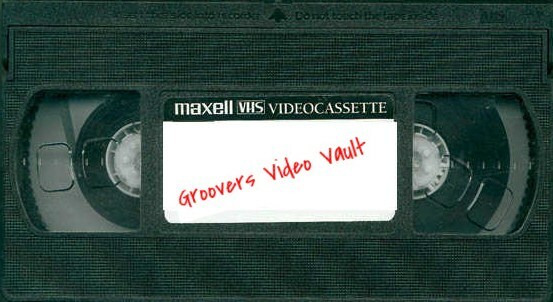 It was therefore no great surprise that when as a family we got our first VCR I gravitated to a certain type of movie. I don’t know what to call it, a genre or sub genre I guess, I’m not sure if anyone has ever given it a name. Sometimes B movies, others were high grossing blockbusters. Usually featuring bootleggers, truckers and small town sheriffs and nearly always set in America’s southern states. Typically the men (it is a very male genre) are simple talking, rough tough men with rough edges but a heart in the right place. The characters often spent their time just the wrong side of the law or taking the law into their own hands. These films were all made in the 70’s and they belong in the 70’s, there have been attempts to recreate the style many times but they don’t really work in the modern era. Quentin Tarantino has given us a nod at the genre but Strangely Dwayne (The Rock) Johnson has probably come closest with the remake of Walking Tall and Faster, but you have to go back to the original movies of the 70’s to appreciate the genre. Although it’s a 70’s genre its roots go back before that to films like the Robert Mitchum bootlegger classic Thunder Road (1958). 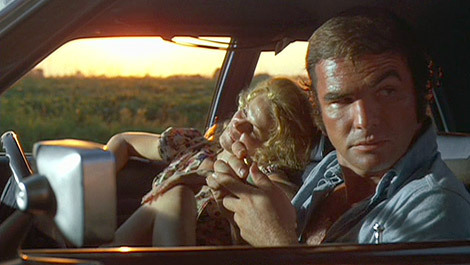 Mainstay of 70’s cinema and the genre, Burt Reynolds stars as Bobby “Gator” McKlusky in White Lightning (1973). Reynolds plays a moonshine runner who is let out of prison to help bring down a corrupt sheriff (Ned Beatty) who was responsible for the death of his younger brother. Cars are an important part of the genre and this movie is no exception. Gator’s vehicle isn’t an exotic sport car but a working class hero, a suitably anonymous muscle car, a souped up Ford Custom 500. From the same year Last American Hero sees a young Jeff Bridges as Elroy Jackson Jr. a character based on real life moonshiner turned NASCAR driver Junior Johnson. Also from ‘73 the original Walking Tall stars Joe Don Baker and is loosely based on the life of Tennessee sheriff Buford Pusser who cleans up his small town at great personal cost. Forget the remake and watch the classic original. An underrated actor, Jan-Michael Vincent. Is probably best know in the UK for the TV show Airwolf, his first entry on this list is in White Line Fever (1975). Returning home from Vietnam and setting himself up as an independent truck driver that predates Convoy by three years. A lot of the movie is of its time, but the themes of fighting against corruption and oppression are timeless. 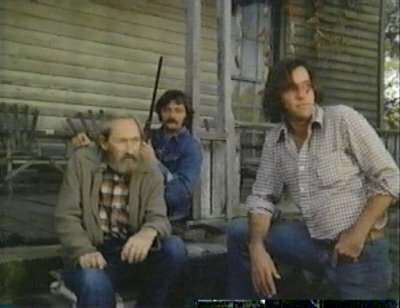 I started by talking about The Dukes of Hazzard, Moonrunners (1975) was actually the origin on the TV show: directed by Dukes of Hazzard creator Gy Waldron, the Balladeer (Waylon Jennings) introduces us to cousins, Grady and Bobby Lee Hagg, who run moonshine for their Uncle Jesse. A lot of the elements of the movie were toned down for the family friendly TV show but were reinstated for the (rubbish) 2005 movie. Although fictional Moonrunners was inspired by the life of bootlegger turned stock car racer Jerry Rushing. Rushing was a contemporary of and raced against Junior Johnson mentioned above. The movie is dated but worth a look for fans of the genre. I’m not aware of it ever being released on DVD and the hard to find VHS copies date from the early 80’s but you can find it streaming online with the claim it is now in the public domain. Burt Reynolds returned in Gator (1976) a sequel to White Lightning, with a similar story to the first movie it is very much a case of more of the same, it is most notable as Reynolds first feature as a director. Continuing the theme of returning Vietnam veterans, Rolling Thunder (1977) is the story of Major Charles Rane (William Devane) a former POW who returns home to a small town in Texas. A brutal revenge drama the movie has more in common with Walking Tall than the other films on the list. 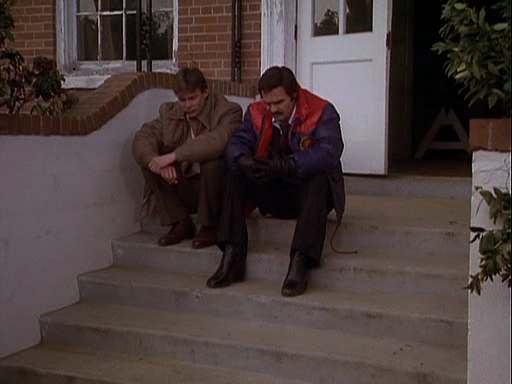 It is also one of the best movies from the ever reliable William Devane and an early film role for Tommy Lee Jones. Possibly the most well known movies of the genre Smokey and the Bandit (1977) was a huge hit and spawned two sequels and countless imitators. A lighter more fun and comic film than the others mentioned, the movie is basically one big car chase from Texas to Georgia. Reynolds may be the star of the movie but Jackie Gleason’s Sheriff Buford T. Justice has all the best lines and steels the movie from under him. Reynolds was back again in Hooper (1978) reunited with Smokey and the Bandit director Hal Needham and co-star Sally Field. It also featured Jan-Michael Vincent. Although very different to the other movies I have mentioned in story and setting, it has the same spirit of character as many of them so I felt compelled to include it. Reynolds plays a veteran stuntman and Vincent the new up and coming rival. It is as much a story of an end of an era as it is a tribute to movie stuntmen. Very fitting as Reynolds and director Hal Needham both began their careers as stuntmen. Is Convoy (1978) an attempt to cash in on the CB radio craze of the time? Or a protest at the 55 MPH speed limit? Or even an exploration of equality or race? Its probably a combination of all three. Like Hooper above it is also the story of an end of an era, and this is the speciality of director Sam Peckinpah. Kris Kristofferson and Ali MacGraw are perfectly cast, but the real star is Ernest Borgnine. By the 80’s the genre was dead having become a pastiche of itself with movies like The Cannonball Run. But we still have a whole decade of movies to enjoy and to remind us the 70’s was about more than New Hollywood, Jaws and Star Wars. Is Digital Projection the Future of Cinema? A few months ago I wrote an article about how “I Miss Celluloid” since my local multiplex has moved over to digital projection. Two things got me thinking about that article this week. I went to see On the Road, arriving at the cinema during the adverts but before the trailers. The image was strangely small and off centre. I pointed this out to a member of staff and was told he would fix it. The trailers started and nothing was done so I told someone else and was told ten others had brought this to their attention and it had been fixed, the image would revert to normal during the film. Then the film started a full twenty minutes after I had first made them aware of the problem. A few others got up to go and explain the situation, at which point a member of staff came in and said that they would have to restart the projector to fix the problem. This took 20 minutes. I am happy to report all was well after this. Now I know film has had its problems and the films used to break or get stuck and burn but to be honest having watched thousands of traditionally projected films I have never seen any of those things happen. 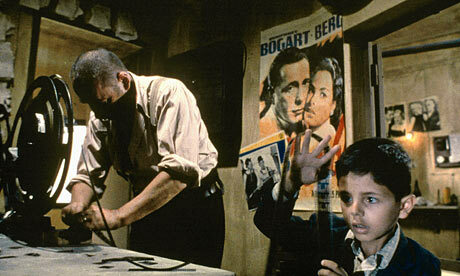 But having seen around two hundred digitally projected films it has gone wrong in a similar way to this four times. Realistically a 2% failure rate on what is essentially a new technology isn’t bed and I am probably me been unfair. The second thing was Ryan McNeil from The Matinee’s review of the documentary Side by Side. 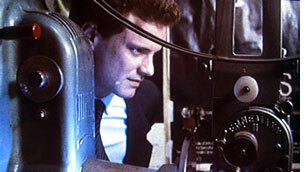 The film explores the production and exhibition of both traditional and digital movies. I look forward to seeing this movie and see it as a good companion piece to The Last Projectionist that I saw earlier this year. I’m not a total Luddite, I can see the good things about digital projection I just hate the assumption that new is better than old. Change isn’t always progress and doesn’t always equate to improvement. My real objection probably has nothing to do digital v photochemical it is the lack of a projectionist or staff member to take responsibility for projection and ensuring films are displayed properly. Heather over at Man I Love Films has published a list of her “TOP TEN FAVORITE POST-APOCALYPTIC MOVIES” I started replying but soon realised it was just a list of other movies that I would recommend, so I decided to post my own alternate list instead. As an alternate list I have avoided all the films heather chose, The Mad Max Trilogy, 28 Days Later, 12 Monkeys, Children of Men would all have made my list. Escape From New York may have made the list and Reign of Fire would have been worthy of an honourable mention. 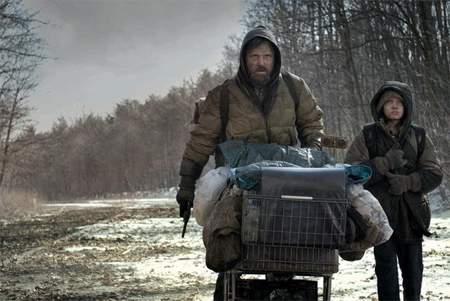 As anyone who listens to Wittertainment (if you don’t know what Wittertainment is google it) knows, Post Apocalyptic is an oxymoron as there is no “post apocalypse”, after an apocalypse there is nothing! So putting that cheery prospect aside we will continue to use the term Post Apocalyptic as it is the accepted name of this sub genre. 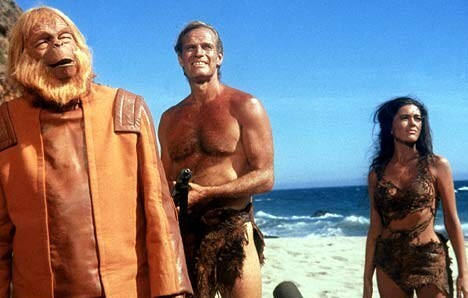 Planet of the Apes (1968) Everyone knows all about Planet of the Apes, most people have seen at least one of the movies and many know the twist at the end, but go back and watch it again and remind yourself just how great it is. 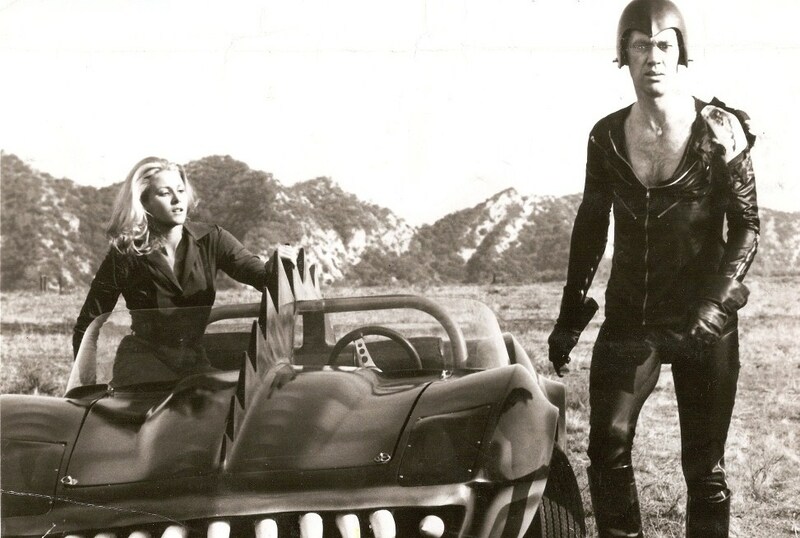 Death Race 2000 (1975) I saw this movie when I was very young, too young! I loved it at the time but didn’t really get it. Following a financial crisis and a military coup United States has become a fascist police state. The most popular sport is the Annual Transcontinental Road Race, a race where drivers score points for killing pedestrians as they race from coast to coast. The acting is terrible and the production cheep, but it has aged surprisingly thanks to a simple subtext that makes it an effective political satire. 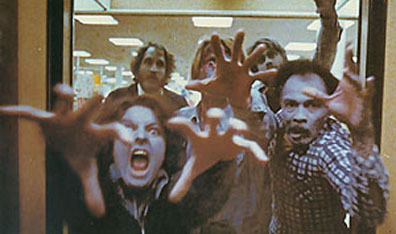 Dawn of the Dead (1978) Heather favours the 2004 remake that I must admit I like but the original is my all time favourite Zombie movie. At its heart it is a clever satire and allegory of modern consumer society but forgetting that its just a great horror movie. Hardware (1990) Written and directed by Richard Stanley and based on a short (7-page) comic strip called SHOK published in 2000 AD by Steve MacManus and Kevin O’Neill. Set in a dystopian world ravaged by war, the population is living of the scraps of the dead and decaying civilisation. 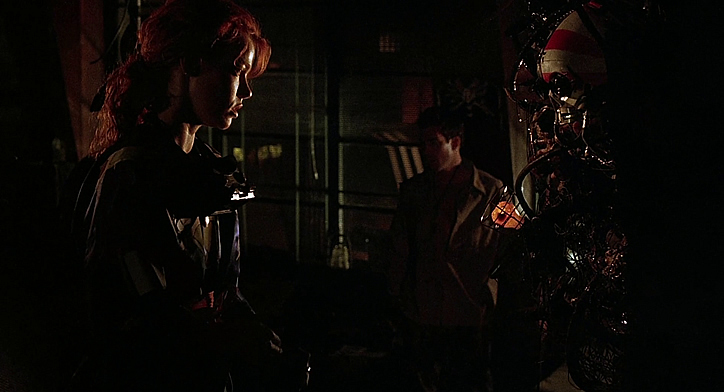 A soldier retuning home for the Christmas cease-fire, gives the head of a long destroyed robot to his sculptor girlfriend, before long it begins to reassembles itself the body count begins to rise. 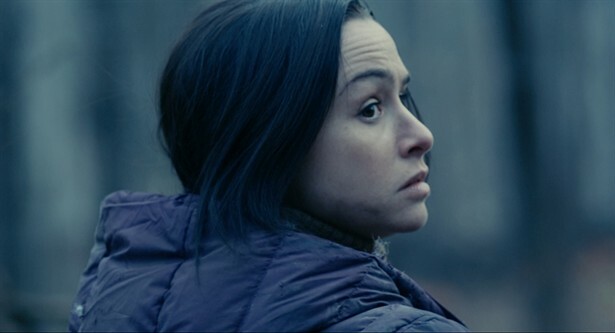 There is an inherent honesty in the low budget simplicity of the movie that is as sumptuous in its grime and bleakness as it is in its sense of desperation. 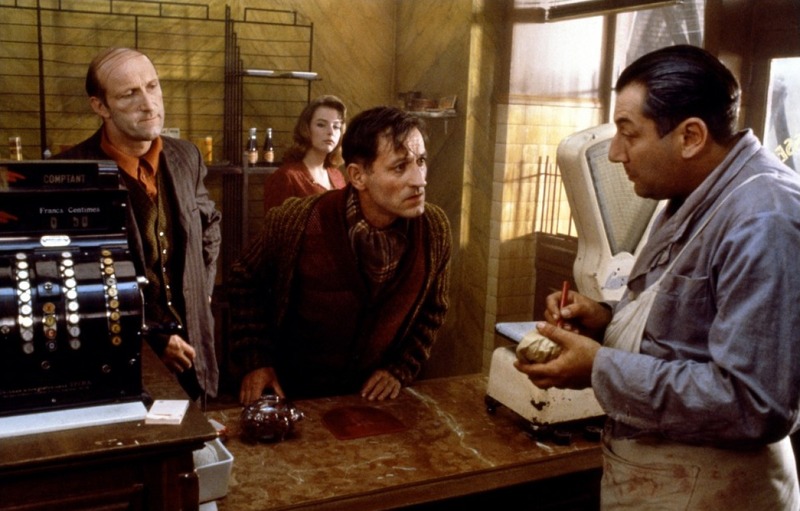 Delicatessen (1991) Jean-Pierre Jeunet’s feature début is set in a strange retro post apocalyptic France. A bizarre little film about a butcher and landlord who finds an interesting and cannibalistic way of feeding his customers. Like so many films of the genre, it is about a fight for survival, but in this case its on a smaller and more intimate scale. The Matrix (1999) One of Heaters honourable mentions but deserving a place on my list as a hugely influential film and one of the best films of the 90’s. 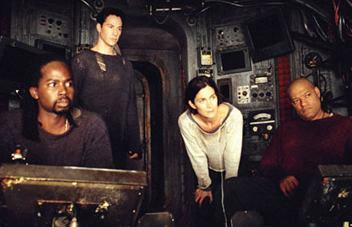 A lot of The Matrix is set within “The Matrix” so it is easy to forget the real world scenes onboard the Nebuchadnezzar. Like The terminator movies the glossy Sci-Fi is enhanced by the grim reality of the dystopian future. Doomsday (2008) Doomsday is a bit of a mess of a movie but it such a good fun mess it really doesn’t matter. Made up of multiple set pieces including shootouts, car chases and sword fights (inspired by movies as varied as Escape from New York, Aliens, Mad Max 2 & 3 and Gladiator) the final result is a little disjointed but each element is extremely well made. At the heart of the story and holing it all together is Rhona Mitra in her best role to date as a sort of female Snake Plissken. Think of it as a more polished and high quality take on a Enzo G. Castellari style movie. It actually gets better each time I watch it. The Road (2009) Post Apocalyptic movies are often gung-ho survival of the fittest stories in the new world order, The Road is very different. A melancholic and chilling story of a world dying with a whimper told through a grim and gritty story of a farther and sons fight to survive. It sounds depressing but it strangely isn’t. Stake Land (2010) Thanks to a certain franchise of sparkly, vegetarian, teenage vampires the genre has taken a bit of a beating in recent years, Stake Land redresses the balance with the style, brutality and themes of a zombie film except with vampires. Like many great genre movies it is enhanced by a strong subtext, reflecting the time it was made, the tone of the movie is bleak but with a small but vital glimmer of hope, in other words a reflection of the world today. Perfect Sense (2011) Like the road Perfect Sense tells a story of society going out with a whimper and not a bang. Starting with taste, people start losing their senses. Concentrating on a chef and a scientist (Ewan McGregor and Eva Green) who fall in love as the epidemic unfolds it could have been soppy, disjointed and depressing, it isn’t. Here are a few more movies that are set in Post Apocalyptic future that are worth a look: Monsters, Zombieland, The Hunger Games, The Book of Eli, A Boy and His Dog, Night of the Comet. And don’t forget The Terminator and Terminator 2, set in the present day but featuring characters who have travelled back in time from a post apocalypse future. There are also a lot of films set in a dystopian future that probably don’t fit the Post Apocalyptic tag, they include: Metropolis, Brazil, Nineteen Eighty-Four, Rollerball, Eraserhead, The City of Lost Children. 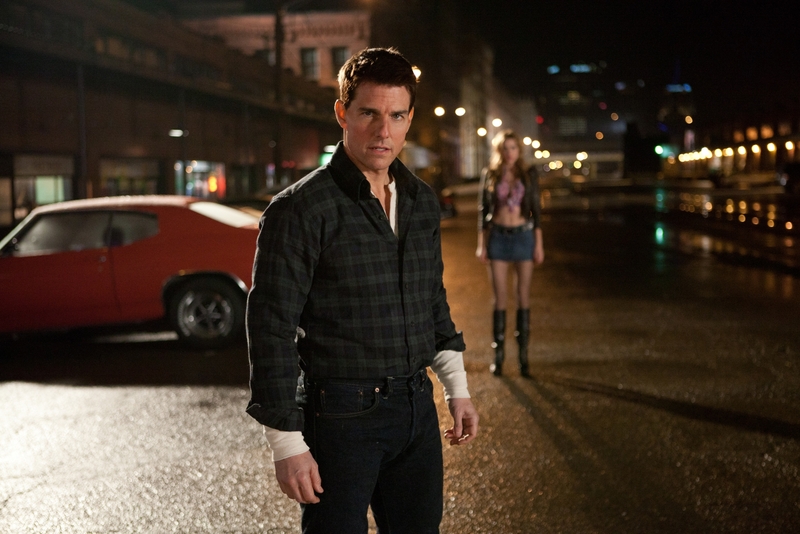 Jack Reacher, The New James Bond? 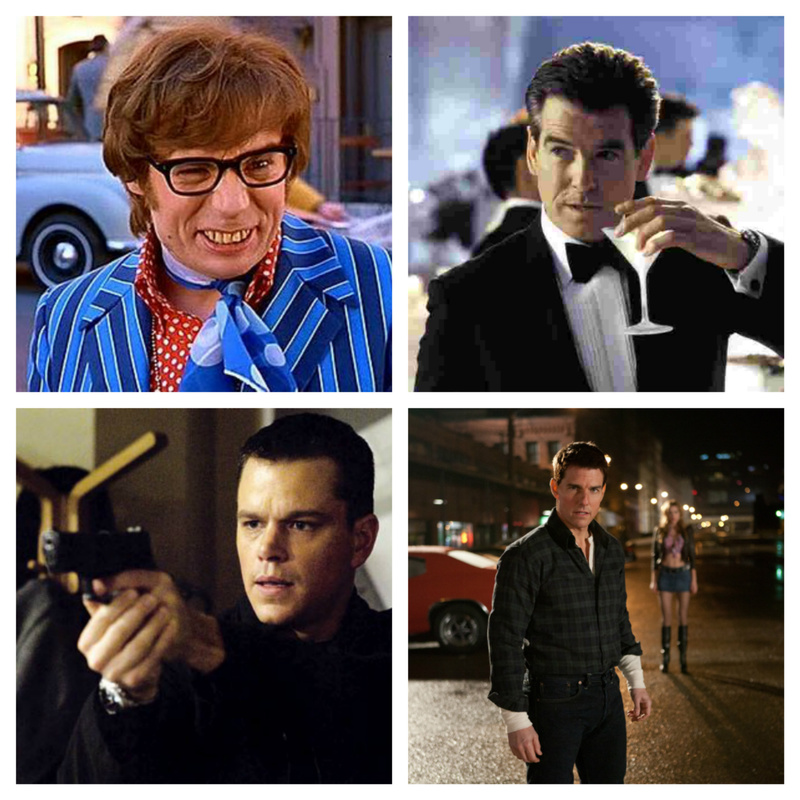 In 1997 Mike Myers gave us Austin Powers: International Man of Mystery, a movie that made a mockery of James Bond. 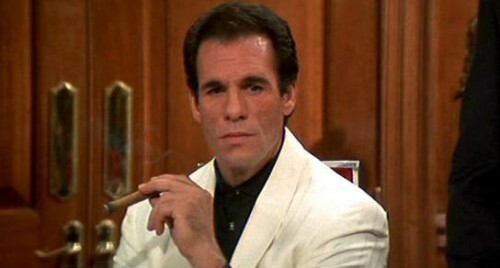 How could Bond continue after this?The simple answer, in the Pierce Brosnan era Bond became as silly as the spoof. Then in 2002 around the time Brosnan was making his last appearance as Bond in Die Another Day the game really changed with The Bourne Identity. Bond took a four year break and returned as a younger rougher Bond in Casino Royale played by Daniel Craig. 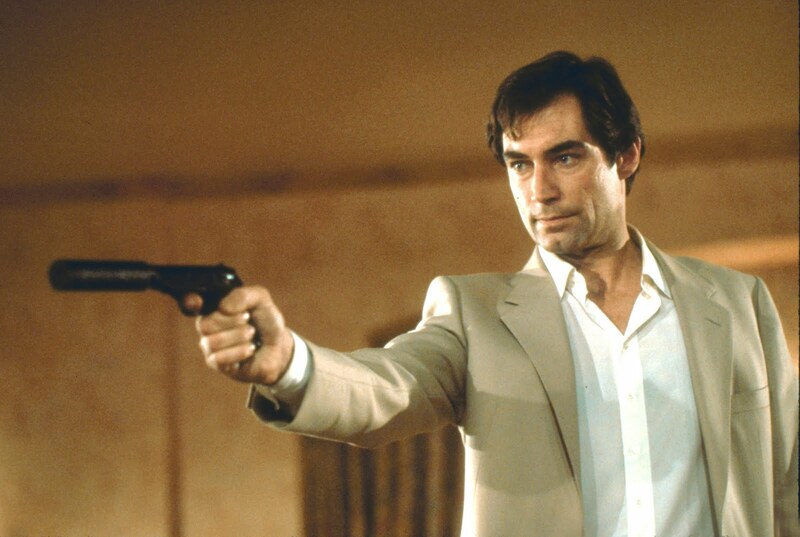 Despite the reboot, there is still a sense that Bond belongs in the 50’s and 60’s and not in the present day. As good as the Jason Bourne trilogy was, it was always just that a trilogy. The critical, financial and artistic failure of the Bourne Legacy proved that. Largely plot driven it couldn’t adapt and evolve the way Bond has, but then no other film series has. Bruce Willis is John McClane, and there couldn’t be a Die Hard movie without him. 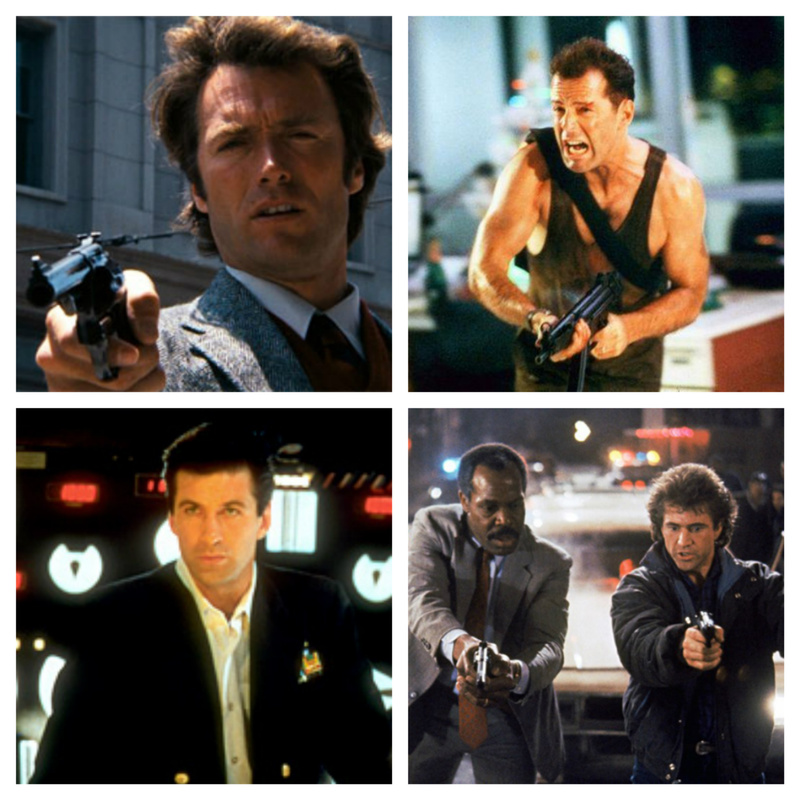 The same goes for Riggs and Murtaugh/Mel Gibson and Danny Glover in Lethal Weapon and Clint Eastwood in Dirty Harry. Next year, Chris Pine will be the fourth actor in five films to play Jack Ryan but they have always felt like separate films and not a coherent series. Mission: Impossible has the scope to be rebooted and is set up in such a way that other characters can be introduced without the need to recast existing ones. There has been a suggestion that William Brandt (Jeremy Renner) introduced in the latest film Ghost Protocol has been suggested as a replacement for Ethan Hunt (Tom Cruise) but is it the new Bond? Probably not but it does lead on nicely to Jack Reacher, a film franchise that could be the James Bond for a new generation. I am not talking about a replacement for Bond. Bond as a character is showing no sign of going anywhere but that doesn’t mean there isn’t space for a new action hero franchise. The screen incarnation of Bond has been with us for fifty years, longer than most people who read this article have been alive. It has always updated itself in an effort to stay relevant but is at its best when it has one foot in the past as M said in Golden eye “I think you’re a sexist, misogynist dinosaur. A relic of the Cold War”. This is why there is room for a new hero one who, one conceived in a world after Vietnam, the cold war and 9/11. I’m not totally convinced that that character is Jack Reacher but it stands a chance. The controversy over the casting of Tom Cruise who is too old and too short (by ten inches) and worst of all too famous to play Reacher may just work in its favour. If cruise can establish the character over three or four movies it will have the chance to be recast and reinvented in future the way Bond has been. Who is Jack Reacher? Starting with Killing Floor in 1997 Lee Child has already written more novels than Ian Fleming. Unlike Bond, Reacher isn’t a spy with the backup of the British movement and the “Q” branch. Reacher is a former military policeman who has taken to drifting around America. Along the way he gets into various scrapes and ultimately ends up helping people in a sort of Kwai Chang Caine way. Totally lacking any sense of remorse but with a strong sense of morality and a compulsion to help people the character is very clichéd, this isn’t a criticism. So will Reacher be the new Bond? No, and if the filmmakers try to turn him into the new Bond it will be a missed opportunity for a new franchise. Since its reboot a few years ago Bond took a step towards Bourne but always kept its own identity and that’s that Jack Reacher needs to do, forge its own identity in a crowded movie schedule. Skyfall is released on 26th October 2012 in the UK and two weeks later in North America. It was announced this week that Adele would sing the title track for the new James Bond movie Skyfall, but lets be honest who didn’t already know, it is officially the worst-kept secret in the history of secrets. Last month Mark Kermode & Simon Mayo from the BBC 5live radio movie show “Wittertainment” joined forces with BBC Philharmonic for a James Bond special where viewers were asked to vote for their favourite Bond themes. Its hard to argue with the top three as classic Bond themes, but along with Tom Jones they are a little predicable and lets be honest the classics aren’t always as good as we remember them. Shirley Bassey’s Moonraker was a terrible song and Tom Jones’ Thunderball was lumbered with the most preposterous lyrics. The show like all discussions about classic Bond themes tnd to focus on the 60’s and 70’s but there are some more recent songs worth remembering. 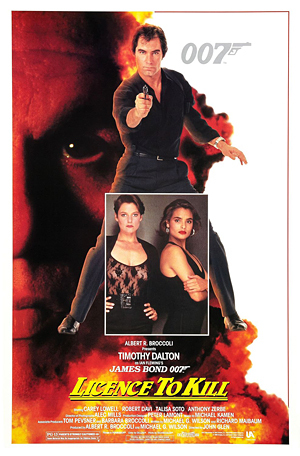 A View To Kill sung by Duran Duran: The movie was terrible but the song was good and managed to be combine the elements you would expect from a Bond theme with 80’s pop. The Living Daylights sung by A-Ha: just like Duran Duran, A-Ha nail the classic Bond combined with 80s pop. Licence To Kill sung by Gladys Knight: Ditching the 80’s vibe and returning to a big ballad out of the Shirley Bassey school. GoldenEye sung by Tina Turner: after a brief hiatus Bond needed a big return, and he got it thanks to Bond fans Bono and The Edge from U2 who wrote the song. Tomorrow Never Dies sung by Sheryl Crow: I was unsure about this song when I first heard it, I thought it was trying to hard to be a Bond theme and moving away from what Crow does best, but it really has aged well and sits well with the classics. The World Is Not Enough sung by Garbage: with soaring strings and a slow deliberate delivery from Shirley Manson that almost oozes out, the song has the Bombast that only a Bond theme can get away with.